Lynch Pin - also known as Linch Pins, 3 point hitch pins, Quick Pins, Click Pins and Snapper Pins- are made from low carbon steel, and plated zinc with a yellow chromate dip for added corrosion protection. 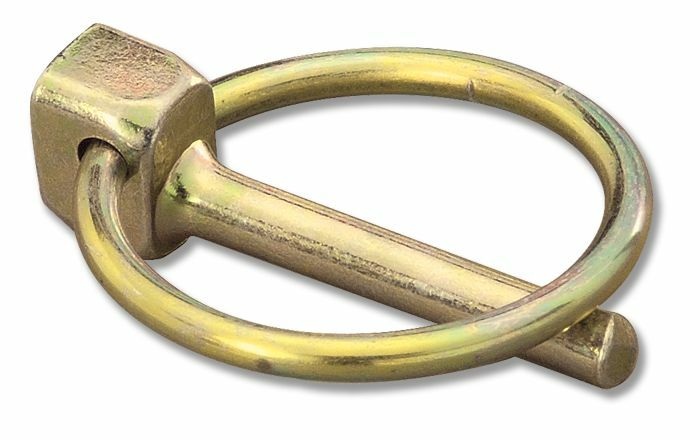 Steel Lanyards or Nylon Lanyards may be added as a low cost tether to prevent Lynch Pin loss. These quick locking pins do not require cotter pins and are faster to use than clevis pins and cotters. The ring is made from hard drawn MB spring wire. 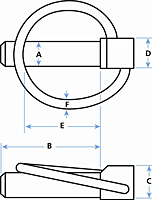 Linch Pins feature an “over center” ring loop attached to the head which snaps down hard to hold the fastener in place. 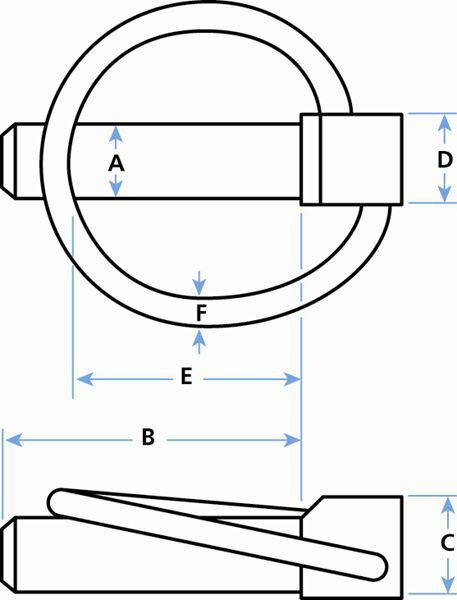 A special Linch Pin with a heavy duty ring is also available for extreme applications- see Stock Code HANG-8HD. Lynch Pins- also known as Linch Pins, 3 point hitch pins, Quick Pins, Click Pins and Snapper Pins- are made from low carbon steel, and plated zinc with a yellow chromate dip for added corrosion protection. Steel Lanyards or Nylon Lanyards may be added as a low cost tether to prevent Lynch Pin loss. These quick locking pins do not require cotter pins and are faster to use than clevis pins and cotters.